This isn’t really the snapshot I wanted. When I first saw these pigeons I was walking through one of Chisanau’s wonderful parks. 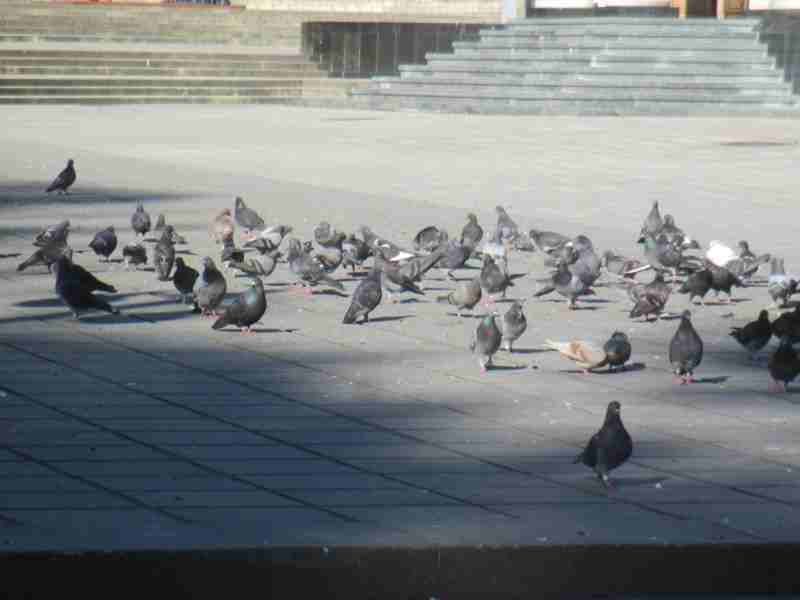 The pigeons were being fed by a man who appeared to be around thirty years of age. He had a bag on one hand and in the other he was throwing bread to the birds. The bread seemed to have been prepared for the birds before he arrived at the park. The man had a very serene look on his face. There was something of a very peaceful about the man. I could sense a comfortable and serene joy surrounding the man and the pigeons. It appeared to me that feeding the pigeons was something he may have done with some regularity. I sensed a really kind heart in the man. I sensed that here was one man who found some happiness in the simple act of feeding pigeons. I became engrossed in the scene and before I could get my camera out and get a picture of him feeding the pigeons, he had picked up a bag that looked like it might contain his lunch and some incidentals he took to work and he was off. It made me feel that things were right with the world when I witnessed one man’s simple act of unrewarded kindness radiating an unadulterated concern for other creatures in our environment. It’s too bad we can’t be more like that to each other.